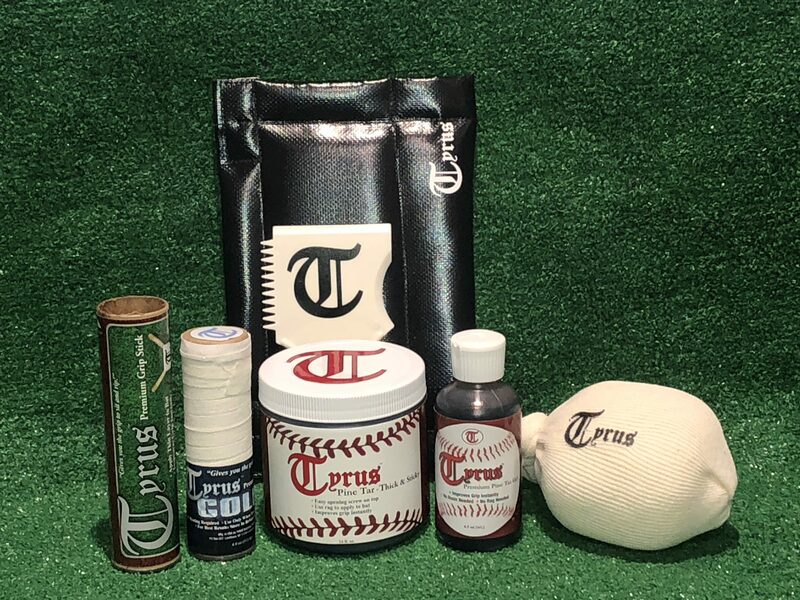 Home / Uncategorized / Tyrus Grip Products [Big Bundle] – Pine Tar, Grip Stick, Rag, Bat Scraper, Rosin, and More! Tyrus Grip Products [Big Bundle] – Pine Tar, Grip Stick, Rag, Bat Scraper, Rosin, and More! •An easy way to clear off grip products from your bat! •Some ballplayers like to clear off some or all of the grip product from their bats from time to time. They may feel like there is too much pine tar, grip stick, or both building up on their bat. Luckily we have the perfect tool for you!